“In Africa there is a concept known as ‘ubuntu’ – the profound sense that we are human only through the humanity of others; that if we are to accomplish anything in this world it will in equal measure be due to the work and achievements of others.” -— Nelson Mandela, 2008. As an anti-apartheid activist, he was tried for treason and imprisoned for 27 years. Mr. Mandela was the first South African President to be elected in a fully representative democratic election. He served as President of South Africa from 1994 to 1999. Nelson Mandela on Robben Island. Madiba spent 27 years in prison, most of it on Robben Island. Mr. Mandela says that he learned that courage was not the absence of fear, but the triumph over it; that the brave man is not he who does not feel afraid. It is he who conquers that fear. It’s important to stay calm in difficult situations. This helps to defuse tensions and empowers people to act justly. In the explosive and charged atmosphere of South African politics, maturity and experience helped Mr.Mandela to develop the strength to keep a cool head and to be calm and measured in trying circumstances. Leaders should lead and should be seen to be strong and courageous. Be seen to be leading, even if you must act a little at first. Few people know that Mr. Mandela placed a huge measure of importance on his appearance. He practiced the famous, trademark smile that showed an absence of bitterness and anger. Carriage, bearing and self respect was a key ingredient in his fight against racism. 6. Have a core principle; everything else is tactics. Mandela’s core principle was equal rights for all, regardless of race, creed or gender. He believed that keeping to a core principal focuses energy. In negotiations he demonstrated a willingness to compromise on any issue except his core principals. 7. See the good in others. Many years in prison afforded Mr. Mandela the ability to see that the system of apartheid destroyed many otherwise virtuous people. In dealing with other people, he always started with the assumption of virtue, until proven otherwise. As far back as 1960 Mandela began learning Afrikaans, the language of his oppressors. He cultivated an interest in their sports. His comrades in the African National Congress teased him about it, but he knew that in reaching an understanding of their world view he would have a more informed position, and an invaluable advantage, when negotiating with them. 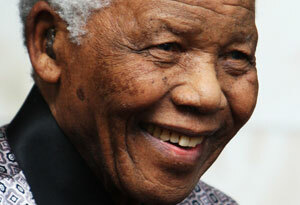 Mr. Mandela is possessed of an invincible charm — often used to greater effect on his rivals than on his friends. It is said that on Robben Island, where he was imprisoned, Mandela included men in his brains trust that he neither liked nor relied on. Rather, he knew that including them was an effective way of controlling them. Mandela could not be moved when a compromise would mean deviating from his core principals. He believes that you say “No” without ambiguity and that you do not make excuses. The long years in prison helped Mandela to think in terms of “the long run.” His perspective was the “big picture.” This long-haul view gave him patience, lifted him during set-backs and it heightened the wisdom of his decisions. Mr. Mandela encouraged his revolutionaries to be loving people, to have loving, life-long relationships. In this respect he leads by example. In standing down after just the one 4-year term of office, Mr. Mandela demonstrated that it’s not about power; it is the bigger picture — a democratic society — that is more important than personal aspirations. Mandela recognised that it’s not always one or the other. His ability to see the shades of gray in a given situation, and the implied contradictions, made him more compassionate towards his adversaries. 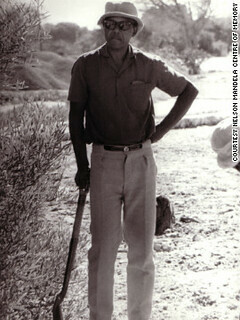 During his long years in prison, Mr. Mandela established and then lovingly tended his own vegetable garden. 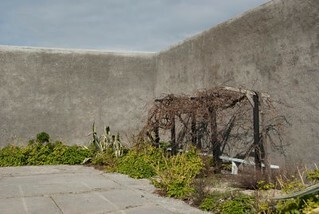 This activity afforded some contemplative space where he could cultivate, not just beautiful plants, but inner peace. “Everyone should have a garden,” he says. This is exactly the kind of leadership that we need again South Africa today. I’m inherently an optimist. 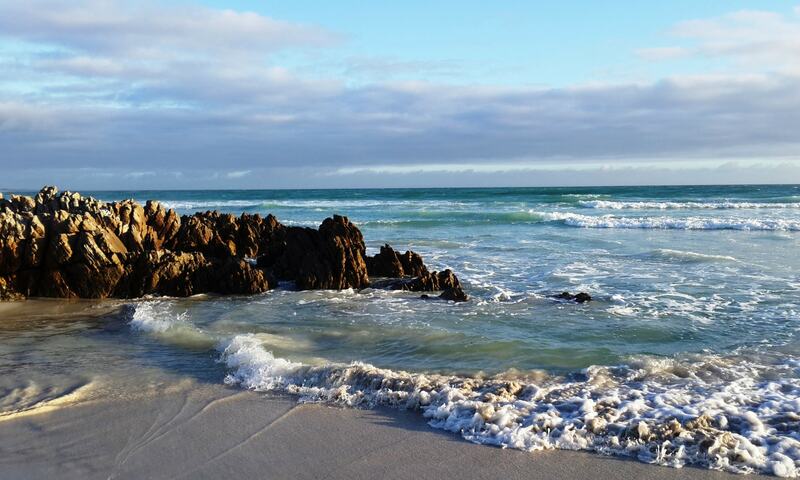 However, I am aware of the pervasive negativity that has seemingly taken hold of so many ordinary South Africans. It would be fantastic if our current crop of leaders could be reminded of the simple wisdom of something as profound as “Lead from the front” yet also “Lead from the back”.